I just want to thank you for following through with this order so well. The main reason I picked you guys was because you said it was no problem to produce and ship within 24 hours and you did exactly that. 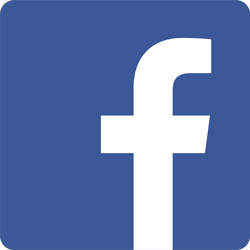 We will be using you again in the future. Oh also, the quality of the product is outstanding!! 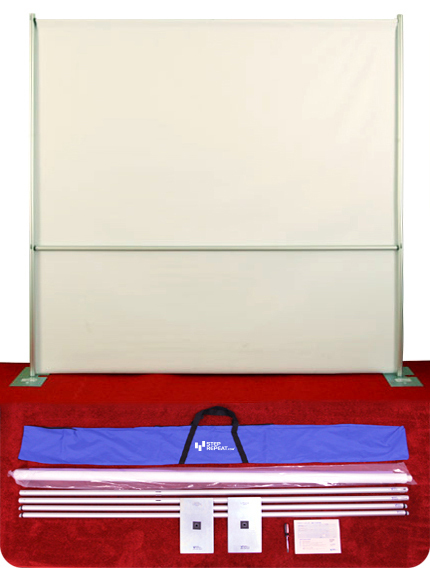 I wanted to write to let you know that we receive our Step-n-Repeat banner today and we are so pleased with it. The fast service we received, quality, service and packaging have exceeded our expectation. We are so thrilled and excited to use it for our upcoming national pageant. We know it will be an added highlight. 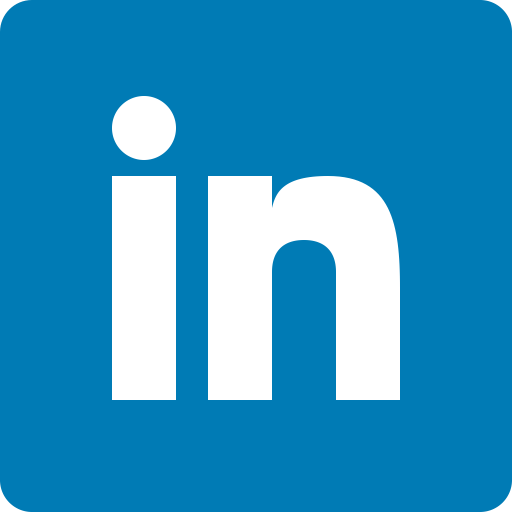 And we look forward to recommending your company to others. Thank you again for superior service. 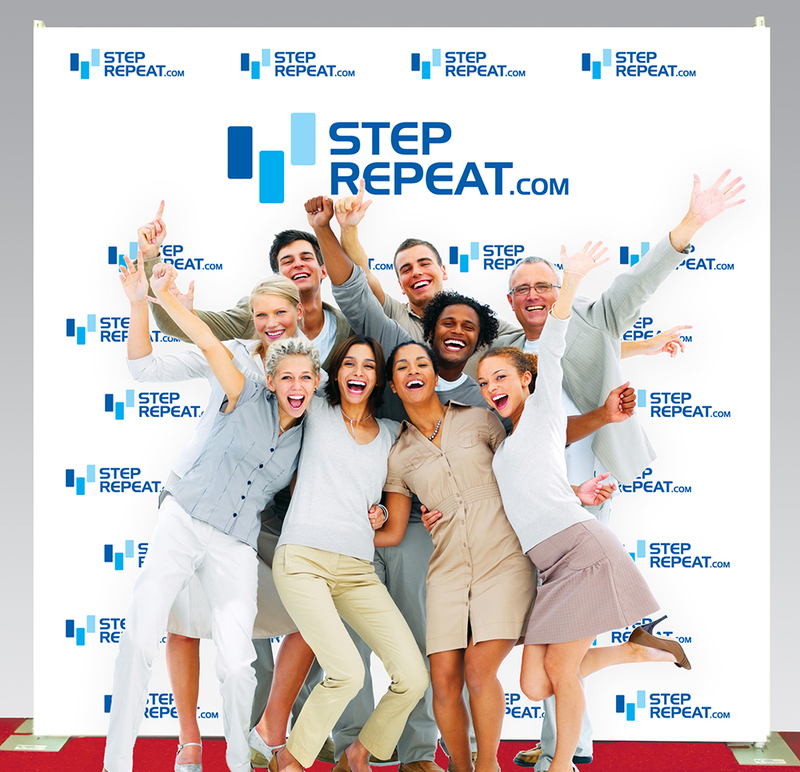 I just used our Step and Repeat banner at an all company meeting today and it was a huge hit! It arrived last Thursday and I was very impressed with how easy the banner and stand were to assemble, and was also very pleased with the material and the quality of the printing. I usually expect to be somewhat disappointed with products like this that I order online, so it was truly refreshing to find you guys stand by your promise of quality. Thanks again for your help, and I will definitely recommend New Vision Imaging to others! The banner arrived today. It's beautiful and so well-crafted. We're very pleased with the results. 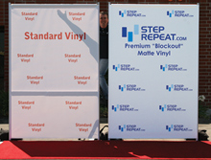 Our event was Memorial Day Weekend and I cannot tell you how much the step and repeat added to the festive atmosphere we create for the juniors tennis tournament. The kids couldn't wait to have their official photos taken in front of it and many families took their own photos as well. One parent commented..."Oh it is so Hollywood..I love it"
We are very pleased with every step of our transaction and will certainly be in touch for any further needs. This one we had made will be our general S&R but we will probably need additional for individual events, we have another tournament coming up in October where we hope to have some sponsors so we would make one for that adding sponsor logos. I will keep you posted. Once again thank you for your fine product, speedy turnaround and professional demeanor. wanted to share some feedback with you. Everyone loves the table covers. They look really wonderful on the floor and were incredibly easy to apply. Thanks for the solid work. I can't thank you enough for everything you did to get my order out in time. The step and repeat was perfect and loved by all. I really appreciate your service and professionalism!! Have a great week! !